If you are one of the many homeowners who is continuing to struggle with making your mortgage payment, a foreclosure may be an inevitable part of your future. While no one wants to default on a loan and face the consequences of a foreclosure, it is always in your best interest to learn as much about the process as you possibly can. One step in learning about the process is to gain a better understanding of the types of foreclosures that you could be facing. Whether regarding Nashville Condos or Warner Robins Real Estate, here is a look at the two basic legal forms of foreclosure that you may encounter. 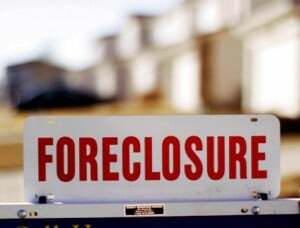 With a nonjudicial foreclosure, the bank or lender receives the power of sale after you have defaulted on your loan. A nonjudicial foreclosure will typically occur after you fail to make loan payments over a period of time. After you fail to make your payments, you will receive a notice of default. This notice will then be recorded with the county recorder of deeds. After the notice is recorded, you will have a period of time during which you can reinstate the loan by paying the amount due as well as the amount the bank spent related to your foreclosure. If you are not able to pay your loan within a certain amount of time, the bank will give you notice that it intends to sell your property. The bank will then sell the property and use the money it receives to pay off the mortgage loan. In most states, the bank cannot require you to pay the difference between the foreclosure sale price and the amount you still owed on the loan. In all, the nonjudicial foreclosure process typically takes just one or two months to complete. This is partially because the bank does not need to obtain a court order before it can sell your home. The primary difference between a nonjudicial and a judicial foreclosure is that the bank must go through the court as part of the process. While the exact procedures may vary somewhat from state to state, the first step typically involves sending a notice of default to the homeowner. If you fail to repay the loan within a certain period of time, the bank must then file a court complaint. A lis pendens is then filed in the recorderâ€™s office to let anyone who is interested in the party know that foreclosure proceedings have started. Next, a settlement will be held and a judgment will be entered. After the property is sold, the bank can get a deficiency judgment against you if the sale price is less than what you owed. 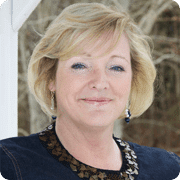 About The Author – Josh Anderson is a Nashville Realtor and helps buyers and sellers interested in Tennessee homes and condos. Get the latest on Nashville real estate at http://searchhomesinnashville.com.